This storage box will help you to keep all your little treasures safe and in one place. It is an excelent gift to make and give to someone with a new baby. A place to store all those special things that a new baby brings. Keep the name bracelet that was on your babys' arm at birth, or the identity tag that was attached to the cot that he/she was placed in after birth. Store that first lock of hair that you cut or the first tooth that falls out as your child grows up. 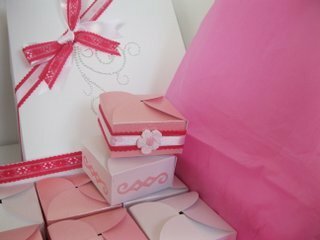 There are lots of items that you may want to keep and share them as your child grows up., and each of these little insert boxes will accommodate those small items. Let the video show you how to create this look. The Alphabet letters are the perfect size for this project but they also mean that I can add any name I wish to any of my designs.... no matter how it is spelt. Here is another version of the same project but this time in more vivid colours. I added tissue paper to the inside of the large box and lace around the inside rim for an extra touch. 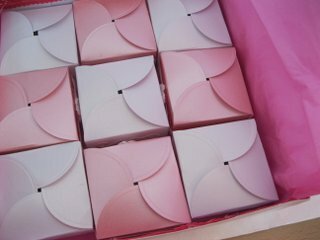 Make the boxes as shown in the video and nine of the small ones will fit into the larger one. 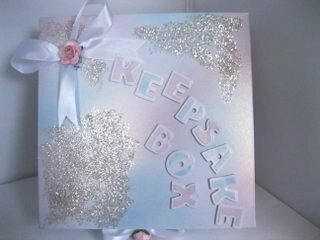 I hope you enjoy this Keepsake Box Tutorial and will be proud of the boxes that you can make.